How do you define ‘absolute misery’? Is it something you experience only once in your lifetime (such as the death of one’s father, receiving the news that you have a terminal disease that has yet to develop a name or support group, or witnessing your entire town disappear into a previously uncharted sinkhole) or is it a gradual descent into a ‘contaminated’ state of mind? Perhaps it is something so insidiously slow that the individual does not even realize that he or she is living in the absolute worst period of their life, and that the situation does not look hopeful. Yet one thing is certain: it cannot be mistaken for any other emotion or thought process. Neither momentary suffering or temporary setbacks can masquerade as this overpowering emotion and experience. Instead, it slowly stomps through the foliage and treeline. You can hear it, both the thunderous reverberations of it’s massive hooves and the anguished squawks of disturbed birds, yet the terrifying realization sets in that, perhaps, you might never escape it. If ‘absolute misery’ had a soundtrack, it would be hard to not recommend “Things Viral” to receive that distinction. Khanate was one of the most recognizable acts performing “extreme doom”, and with good reason: in the five years of their existence, they managed to produce three highly regarded albums (although, each one had their fair share of detractors as well). Things Viral is their second album, after their generally well-received self-titled album. While that album had a basic structure about it (albeit in a much harsher and slower form than your average doom metal band), Things Viral takes convention and stomps it to pieces; taking the dissolution of traditional “musical” structures to an (il)logical extreme. In this set-up, sound is not used as a paint brush, illustrating the message the artist wishes to portray. Instead, it is a hammer, utilized to attack the listener. Whether the listener “gets the message or not” is almost besides the point. Throughout four “movements”, Khanate drops minor-chord riffs and bass notes with the the plodding force of purpose, letting the resulting echoes and ambience hang painfully between spaces (with various electronic bursts as various points in the album). Vicious drum hits are added as punishing staccato punctuation marks (obviously exclamation points), as Alan Dubin, Khanate’s lead singer, presents a truly chilling vocal presentation. Much can be written about the vocals on this record, as they are one of the main reasons why this album is so effective in what it attempts (and succeeds) in creating: a palatable sense of unease. Previously in Alan Dubin’s career (mainly with the pseudo-grindcore band O.L.D. ), his voice was usually treated with various vocal FXs, making him seem more of a robot or manic-depressive alien than human. Yet here, his presentation is human. Horribly so. In four songs, a diverse range of ranting, tortured hypothetical questions, violent threats (wrapped in metaphor), and many instances of out-and-out screaming and yelling are witnessed, as Dubin ponders murder, suicide, depression, futility, paranoia, frustration, and death. There is no logic behind his ranting: it is instead with the anguished force of extreme depression. With such lines as “instead of reading, talking, laughing just feeling / now we’re here / pieces of us in my hands, on the floor, in my pockets / RED GLORY”, it is obvious that the individual being presented here is beyond redemption (either by himself or by society). By the fourth song, Dubin’s vocals have moved galaxies beyond feebly attempting to express misery, and have moved into the nebulous realm of twisted/negative adjectives, in an attempt to show his utter distaste and disapproval of the outside world. “outside: things ugly, things viral / inside: ugly, dismal, safe, nothing more needed”. It is clear that, ultimately the concept of absolute misery fuels a loathing that is equally directed internally as it is externally. As for the music…well, it is not really music as commonly defined. Each of the four tracks at least nine minutes long, with the first two passing slightly over the nineteen minute mark. The space between sound is as important as the chords and percussion themselves, and while the songs themselves are slow to evolve, with relatively few obviously noticeable changes, those that do occur make themselves known immediately: a head-jerk reaction. The music, for the most part, perfectly describes (musically) what Dubin is screeching out at the given period of time. However, even the guitar and drums eventually fade away into the album’s ultimate conclusion: a high-pitched hum begins as Dubin randomly rasps out words such as “sicken/ugly/envy/can’t get past/dismal/safe”, gasping for breath between each phrase. The sound suddenly increases exponentially, as industrial-esque generator noises and rumbling slowly intensifies, along with Dubin’s labored delivery, until a distorted drum solo kicks up the claustrophobia factor to nearly the breaking point. And then the album ends. Upon it’s release, two factions emerged: one that absolutely loved “Things Viral”, and another which condemned it for being either too boring or too dark. While I can readily agree that it would be easy to believe that this record would be above many listener’s comfort levels, I cannot comprehend how anyone can find this album “boring”. Granted, the pacing of the album is slow almost to the point of stasis, yet that is what makes it so effective. But there is enough variation within the album to keep interest up. After “Things Viral”, Khanate would release one more album, “Capture And Release”, that while improving on a few aspects of the band’s sound, also retrogresses on many other’s (namely the slightly muddier mix and the reduction of James Plotkin’s electronic elements in the mix). Shortly thereafter, Khanate broke up, with James Plotkin accusing “other members” of the band of being more concerned with day jobs than being fully committed to music. With only three other members, and Plotkin continuing onward in several projects with Tim Wyskida (Khanate’s drummer), it is not difficult to deduce who is partially to blame [given the fact that Stephen O’Malley is noted for his design work and various other side-proejcts in addition to Sunn O)))]. 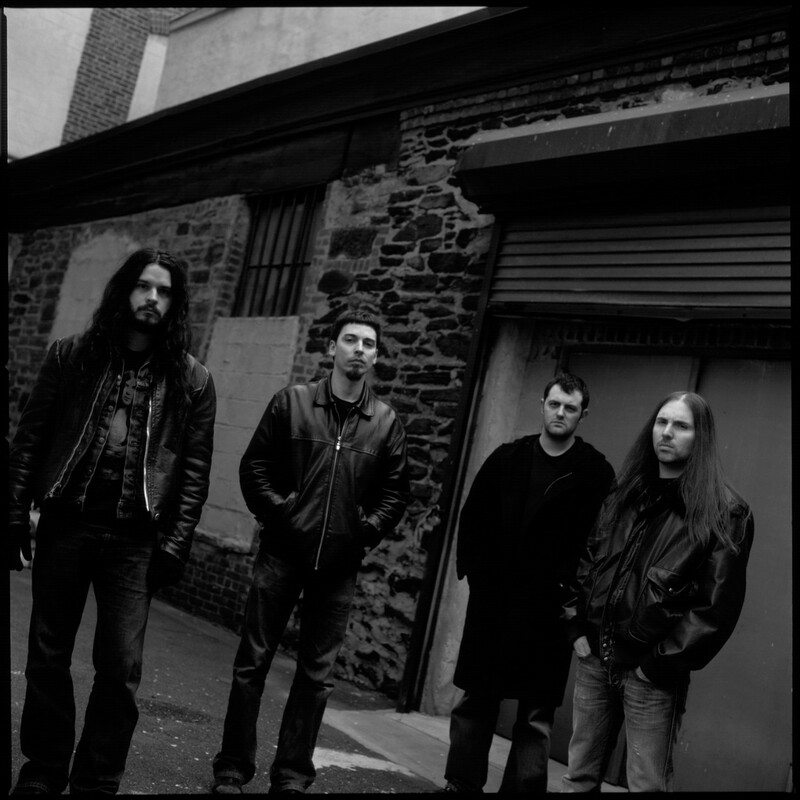 Although there were some who also believed Alan Dubin contributed to Khanate’s dissolution, he was believed to have been surprised at the band’s break-up (although, tellingly, he was quick to announce that he had begun to provide vocals for a newly-developed project and he also was noted by James Plotkin as having commitment problems towards the last O.L.D. album). While a fourth album has been hinted at, and a sample (in which the music takes an intriguing move from the realm of slower-than-dirt doom to mid-paced improvisation), it has been up in the air for some time when (if ever) it will be released (although, frustratingly, Dubin’s vocals seem to have recovered from the abstract third-person tale-telling seen on Capture & Release to embrace a style reminiscent of the first-person viewpoint expressed on “Things Viral”). Nevertheless, regardless of Khanate’s untimely end (and the possible internal politics within the band which possibly contributed to it), “Things Viral” is a shining star in Khanate’s small body of work. It stands as a masterpiece of music which transcends the genres of experimental doom metal, into something completely indescribable. It is, in short, an experience…one that is highly recommended. In short, as one Internet commenter noted: “This would affect even the most blithe”. Truer words were never spoken. ~ by John Lithium on May 14, 2007. Incredible band. Nothing else like it. Crushing. This entry was posted on May 14, 2007 at 9:48 am and is filed under doom metal, Music For The Rest Of Us Archive, Southern Lord Records.You can follow any responses to this entry through the RSS 2.0 feed.You can skip to the end and leave a response. Pinging is currently not allowed.